When Mookie Betts was in high school, he was one of the top athletes in the history of Metropolitan Nashville Public School history. Betts, a graduate of Overton High School, excelled at a high level in baseball and basketball. He had a few perfect games in bowling. 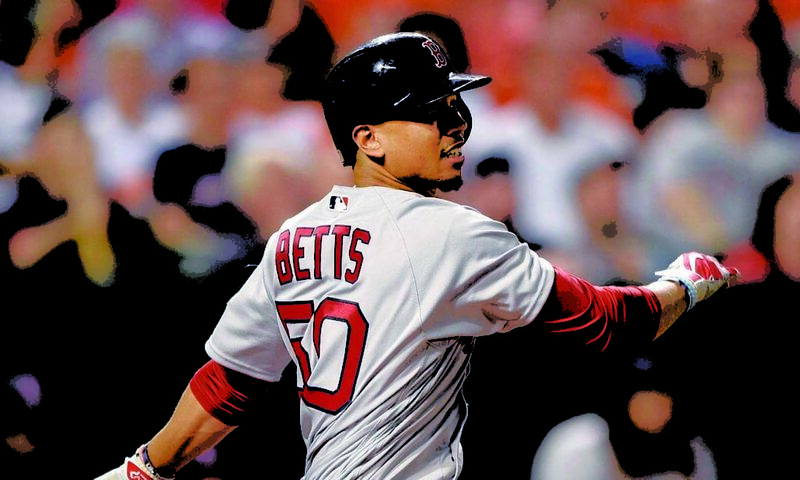 Drafted by the Boston Red sox in 2011, Betts made his Major-League debut in 2014. He has now become one of the most feared hitters in baseball. Last week, Betts was named the American League Player of the Week after hitting .400 with four home runs and 12 runs batted in. His next game after receiving the honor, he hit a home run leading off the game to help propel the Red Sox to a 6-3 victory over the St. Louis Cardinals. The homer was his 10th leadoff dinger in his career tying him for the top spot in club history with Jacoby Ellsbury. Betts’ homer was described by his manager John Farrell as “a jolt of energy”. Currently the Red Sox find themselves with a 22-21 record, four and a half games behind the first-place New York Yankees in the American League East. Though he hasn’t made it to the World Series in baseball yet, Betts competed in the World Series of Bowling in 2015. His first game he bowled a 224. Competing on the biggest stage in bowling is great but Betts has another championship in mind. Bringing another championship to Boston.